Looking for a Used Venza in your area? CarGurus has 1,542 nationwide Venza listings starting at $6,740. Lots of people think their vehicle ought to be the rolling equivalent of an Apple store. The Toyota Venza cannot deliver in this regard, diminishing its appeal to an increasingly younger and technologically savvy buyer. Equipped with appealing design, a roomy and practical interior, and an indisputable value equation, the 2015 Toyota Venza ought to be a big seller in a country rabid for crossover SUVs. After seven years without a redesign, though, interest in the Venza is waning, and Toyota has announced that it will be discontinued at the end of this model year. That means a great deal can be had, as long as you’re not bothered by the Venza’s lack of convenience, infotainment, and safety features. Uncharacteristically stylish for a vehicle wearing a Toyota badge, the 5-passenger Venza crossover SUV should have set the tone for the automaker’s design following its debut for the 2009 model year, but that, apparently, isn’t how the company rolls. Sporting an intricate grille, flared flanks, chunky optional 20-inch aluminum wheels, a tapered greenhouse, and artfully rendered taillights, the original Venza displayed real style in Toyota showrooms that normally lacked it. The good news for you is that in the seven years since, Toyota has left well enough alone. Aside from a less appealing grille and a handful of updates so minor you might not notice them, the 2015 Toyota Venza looks exactly the same as the original. The bad news for you is that Toyota did little to update the rest of the Venza, either, and now this midsize crossover is woefully out of date in terms of modern technology. 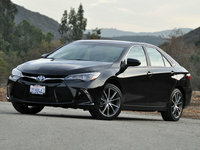 Interior design and detailing are also in need of an overhaul, one that isn’t coming now that Toyota has announced that 2015 will be the Venza’s last year on the market. Inexpensive materials assembled without care look cheap, feel cheap, and sound cheap when they creak under pressure. Durable they may be, but they will not help to convince anyone to part with between 30 and 40 grand, depending on the trim level and equipment. That’s unfortunate, because with just a little more attention to detail, the Venza would still be an appealing vehicle despite its age. Three trims are on sale, the LE, XLE, and Limited, with LE models offered solely with a 4-cylinder engine and Limited models equipped with a standard V6 engine and all-wheel drive (AWD). The Venza XLE offers the greatest variety, available with a choice of powerplants and drivetrains. My test car for the week was the loaded-up Venza Limited, painted Celestial Silver Metallic and equipped with black leather seats. The sticker price came to $40,825, including the $885 destination charge. Yes, that sounds like a deal, until you realize what you can’t get on a Venza no matter how much money you have to spend. A robust 3.5-liter V6 engine sits under the Venza Limited’s hood, cranking out 268 hp that frequently feels like much more than that. Punch the accelerator and the Venza rockets forward with unexpected alacrity, and the 6-speed automatic works flawlessly if you don’t count the shifter’s awkward position on the dashboard. With the Limited trim’s 20-inch wheels, a gliding ride quality eludes the Venza. 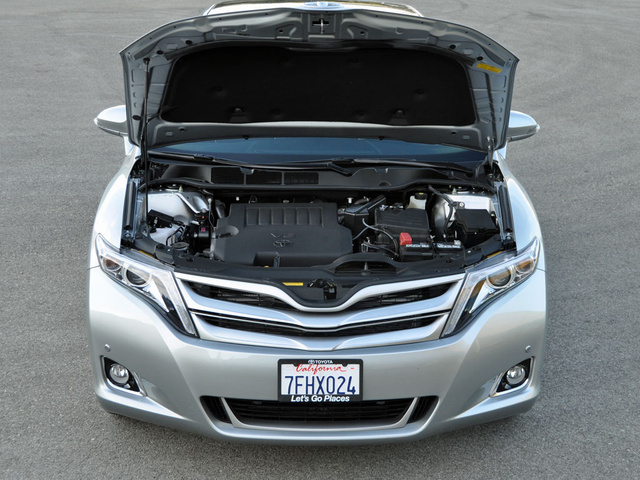 Taut, but not quite stiff, the Venza Limited doesn’t bounce, or jounce, or porpoise at all. Handling is impressive for a rather wide, two-ton crossover, grip ensured by big P245/50R20 tires and an AWD system featuring active torque control. Not fast, but linear and accurate, the electric steering is a willing partner, and the 4-wheel-disc brakes are easy to modulate in order to bring the Venza to a smooth stop. Rapidly release the pedal, though, and you’ll hear a clunk to go along with all the cabin’s rattles and squeaks. 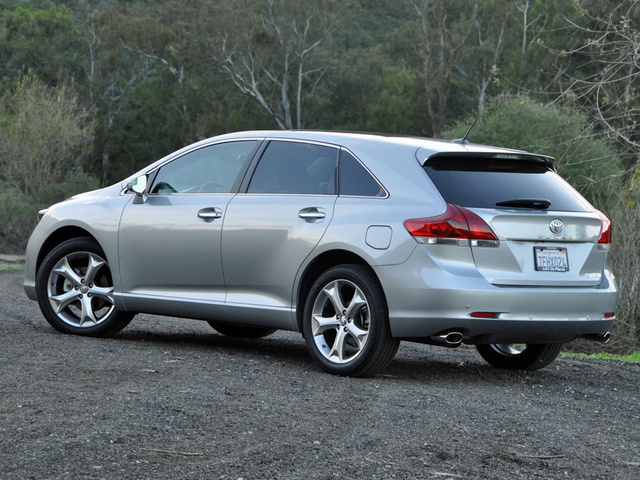 According to the EPA, the Venza Limited should return 21 mpg in combined driving. I got 21.2 mpg, and many of my miles were piled on while traveling Los Angeles freeways. True, they’re often clogged with traffic, but I still expected better. In order to free up center-console storage space, Toyota designers decided to put the transmission shifter on the dashboard, an unusual and innovative solution that gave the Venza an extra bragging point when compared to the competition. The only problem is that it forces the climate controls into a squashed box to the right of the shifter. While the shifter is not in the way when the Venza’s transmission is in Drive and the driver wants to adjust the temperature, or fiddle with other climate functions, at the same time this arrangement is less than ideal. Another problem relates to the Entune touchscreen infotainment system. The screen is rather small, the virtual buttons upon it are smaller still, and without a significant degree of accuracy, they tend not to respond to input. Thanks to the Venza’s taut suspension tuning, accuracy is difficult to achieve, and frustration is almost guaranteed, especially when traveling surfaces that are less than perfectly smooth. As far as passenger space is concerned, a Venza offers plenty of room front and rear. 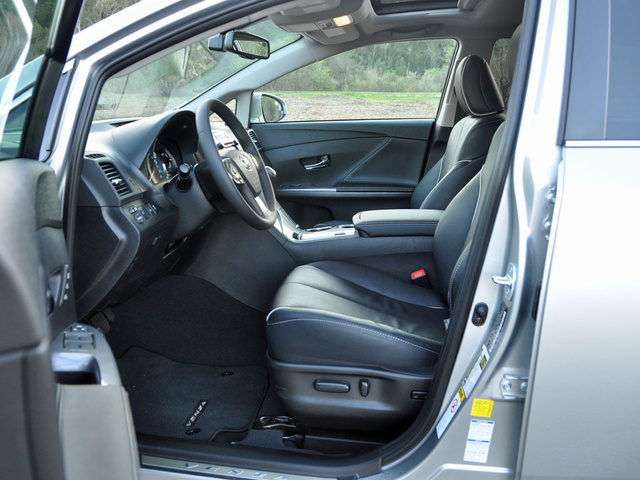 Up front, though, the seats are mounted toward the center of the vehicle, putting the door-panel armrests too far away to be of any use. Also, occupants sit on the front seats rather than in them, though I know from experience that they do prove comfortable over longer hauls. Rear seat passengers enjoy copious amounts of room and reclining seatbacks, and in the Limited model a panoramic sunroof bathes occupants in natural light. The Venza’s rear doors are long, though, making them very hard to use in cramped parking situations. Also, the bottom seat cushion is mounted somewhat low and is also rather flat, the combination resulting in a more level load floor when the seatbacks are folded down to accept larger amounts of cargo. 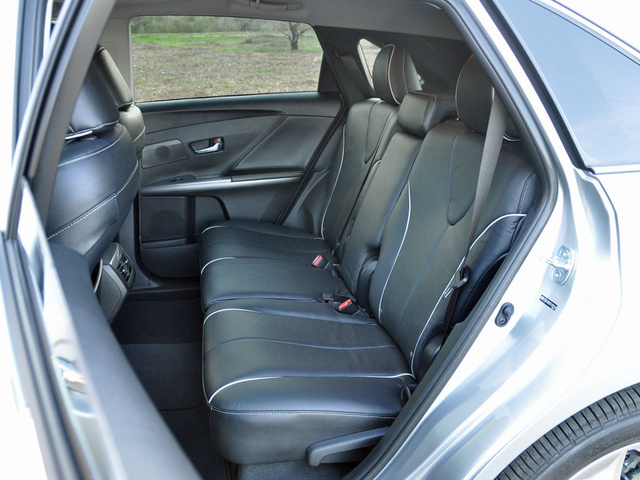 To fold the rear seatbacks, use the handy levers located in the Venza’s trunk. 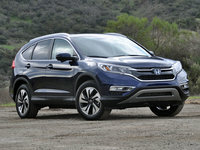 The result is an expansion of space from 36.2 cubic feet to 70.2, so while the vehicle is midsize, its cargo capacity is on par with smaller crossover SUVs. Note, too, that the cargo floor is constructed of plastic, which scratches easily and likely results in unwanted scraping and rattling noises, depending on what type of cargo you’ve loaded. Dealers will be happy to sell you a cargo mat to resolve these issues. Although the 2015 Venza is equipped with Toyota’s Entune touchscreen infotainment technology, the available systems offer nothing more sophisticated than Bluetooth music streaming, App Suite smartphone pairing technology, an available hard-drive navigation system, and an optional JBL premium audio system that is merely so-so in terms of sound quality. Some people like their vehicles to be simple and uncomplicated. I’m one of them. As a result, I find the Venza refreshingly free of distraction (except for the aggravating virtual buttons on the touchscreen display). But lots of people think their vehicle ought to be the rolling equivalent of an Apple store. The Venza cannot deliver in this regard, diminishing its appeal to an increasingly younger and technologically savvy buyer. Where the Venza’s lack of technical sophistication most irks me is with regard to the family-size crossover’s lack of safety features and equipment. A reversing camera is standard, and you can get parking sensors on the Venza, but if you want anything more in terms of modern safety equipment, you are out of luck. That means the Venza lacks a blind-spot warning system and is unavailable with a forward-collision warning system or any sort of emergency autonomous braking system. I can live without lane-departure warning, but Toyota’s Safety Connect service, which automatically notifies authorities that an accident has occurred following an airbag deployment, is not available on any Venza whatsoever. Normally, I berate the automaker for reserving this feature for only top-of-the-line models, but you can’t get Safety Connect on a Venza Limited, let alone the LE or XLE trims. C’mon, Toyota. Even a Chevy Spark has an automatic collision-notification system as standard equipment. If you do happen to get into a wreck, the Venza earns a 5-star overall crash-test rating from the National Highway Traffic Safety Administration (NHTSA), while the Insurance Institute for Highway Safety (IIHS) gives it top marks in all assessments except for the small overlap frontal-impact test, for which the SUV has not been rated. Translated, there’s a good chance you’ll survive a crash if you're driving a Venza. Compared to other vehicles like it, the Venza offers a compelling value equation, one enhanced by Toyota’s announcement that the crossover is nearing the end of its run. Where I live in metropolitan Los Angeles, a $2,000 rebate is available, or buyers can pocket $500 and finance a Venza for 60 months at a zero-percent interest rate. With those discounts, you won’t care if ALG gives the Venza a middling 3-star depreciation rating. You also won’t care that the Venza doesn’t achieve its EPA fuel economy ratings. And it sure helps that Toyota includes free scheduled maintenance for the first 2 years or 25,000 miles of ownership. 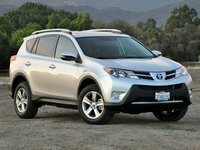 Better yet, Consumer Reports says the cost of owning a Venza is low, while reliability is high. J.D. Power also finds dependability and quality to be among the best in the midsize crossover SUV class. Apparently, these are the benefits of selling a simple vehicle for seven years straight while making few changes over time. That brings me to my final point. The deals on a new Venza are terrific right now, because dealers want to unload remaining stocks of the vehicle. However, because so few changes were made to this model over time, buying a used one makes plenty of sense. You could get one that is just a few years old and want for nothing but the 2015 model’s Entune App Suite technology. 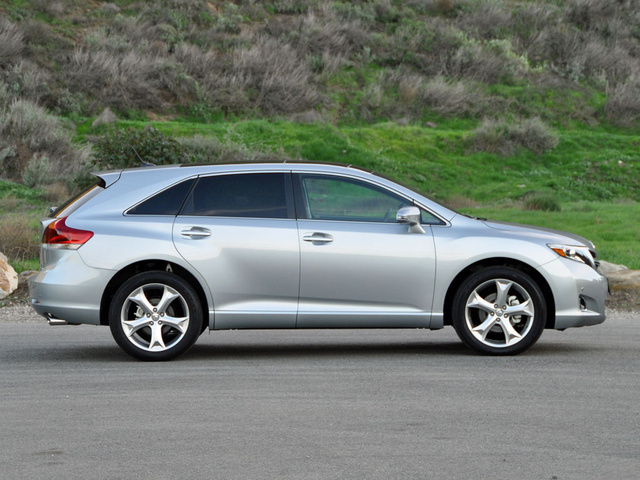 What's your take on the 2015 Toyota Venza? TheHorror You mention a lack of blind spot monitoring, but nothing about the horrid rear visibility that necessitates the additional sensors. Typical of another journalist losing touch with the primary purpose of the automobile. 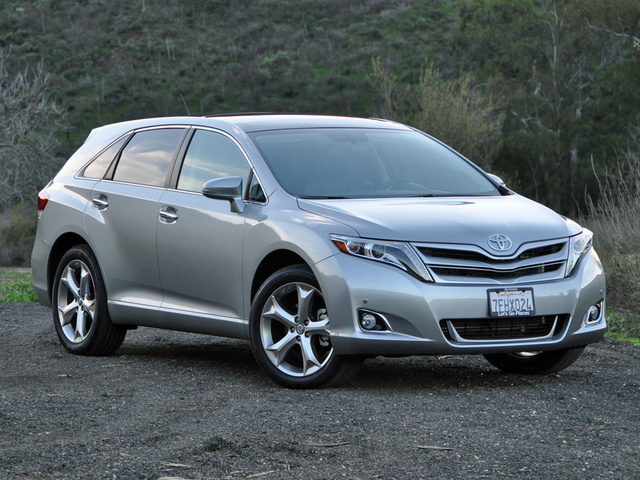 Users ranked 2015 Toyota Venza against other cars which they drove/owned. Each ranking was based on 9 categories. Here is the summary of top rankings. 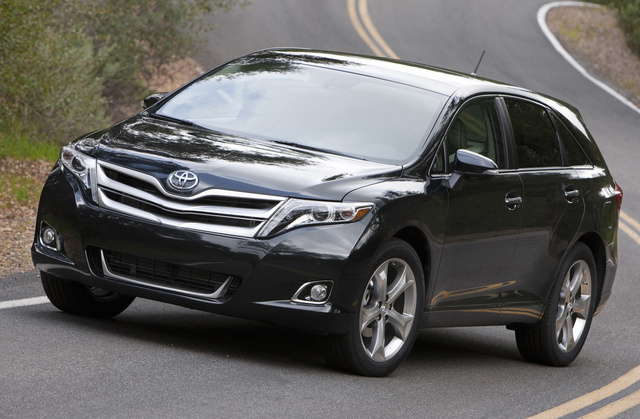 Have you driven a 2015 Toyota Venza? What Does It Cost To Get Another Key For A 2015 Venza?